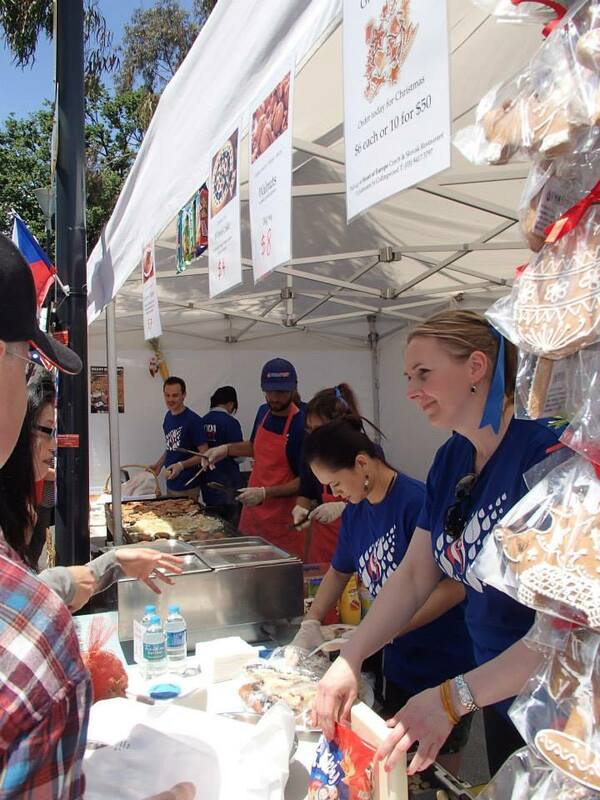 This month VodaFest participated at the Polish Festival at Federation square. Our team quickly picked up a nick name of "blue team" and was introducing to the broader Australian public Czech and Slovak food specialties such as BBQ cikanska, veal pattie, beef goulash and traditional cakes. All the menu received a favourable feedback and our team had a great time talking to all the nice people and spreading the word about VodaFest - Czech and Slovak Festival. Thank you to all those who came to support us on the day and to all 15 volunteers who helped at our stall. Listen to the interview with Katarina Tomka, President of VodaFest about the Polish Festival at SBS Slovak radio or have a look into our Gallery how did it look like on the day.